When you stand and stare for a moment, many possibilities come to mind: hostel, church, school, chalet, rooming house, theater. Hmm, what could it be? Those big gable-ended walls at front and back: they’re made out of concrete, formed and poured in place (all four walls are concrete, making moving a window or door no simple task, just ask the current owners). Inside, there were small rooms and chambers for the various aspects of the secret Masonic rites, and a beautiful theater-like gathering space. A kitchen, offices, cloak rooms. 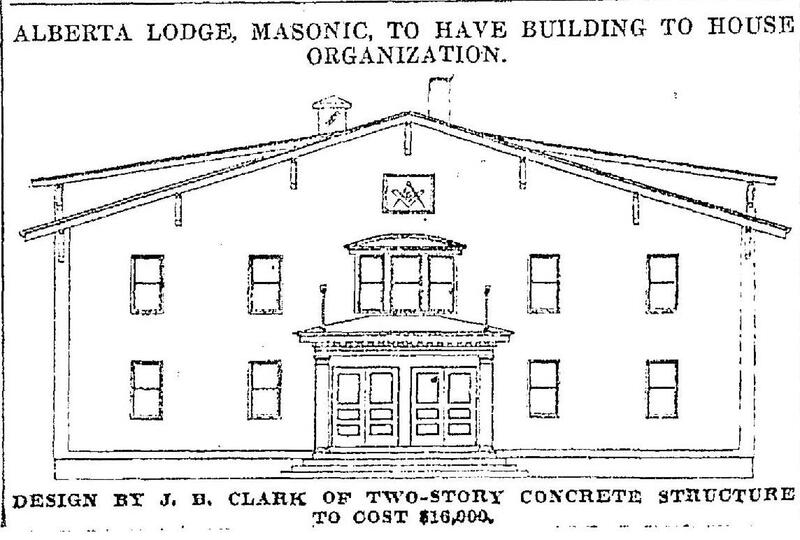 During its heyday, the Alberta Lodge No. 172 had 450 members and was jammed busy on multiple nights each week, often with a ceremony and the many social gatherings that preceded or followed: picnics, breakfasts, dinners, work parties. Click to enlarge. From The Oregonian, January 14, 1986. Following its time as a lodge, the building was the Fellowship Church of God until 2005 when that growing community moved first to the Doubletree Hotel near Lloyd Center then to a new and larger facility on NE 122nd. The space was rented on and off for several years, and served as the home of Heaven Bound Deliverance Center before slipping into receivership and an accumulated ocean of deferred maintenance. That’s where current owner Randall Stuart and his colleagues found it during their search for just the right building to serve as a convening space for art, theater, music, learning and community. The 8,000-square-foot concrete building was headed for demolition when Stuart and his team purchased it in 2013 launching a two-year renovation effort that involved restoring virtually every surface and moving part in the place. And then some: new interior walls and spaces, including a major interior stairway; an ADA ramp and exterior access; outdoor spaces and landscaping; a total overhaul of building systems. Prior to finding the Alberta Lodge, Stuart and his colleagues had formed the foundation that now runs it: Cerimon House is a 501(c)(3) humanities organization dedicated to creating and celebrating community through arts and humanities. “It’s definitely been a labor of love. Our board is very proud of saving the building and keeping it aligned with a fellowship mission” he says, tipping his hat to the generations of Mason families who have gathered in the space. Thanks for another interesting historical story about our neighborhood. You might want to change the address of the new house from .com to .org. always looking forward to more of your articles thanks for all your hard work. Glad you enjoyed this piece and thanks for the kind words. I fixed the URL this afternoon. For readers who may have missed it, Cerimon House is a dot-org, not a dot.com. The link and the text are now correct. Thanks for this post! I’ve ridden by this hall over the years, wondering what it was/is. Now I know! I’ve gone by there many times and was curious. Thanks for the edification. Thanks for the terrific article, Doug. 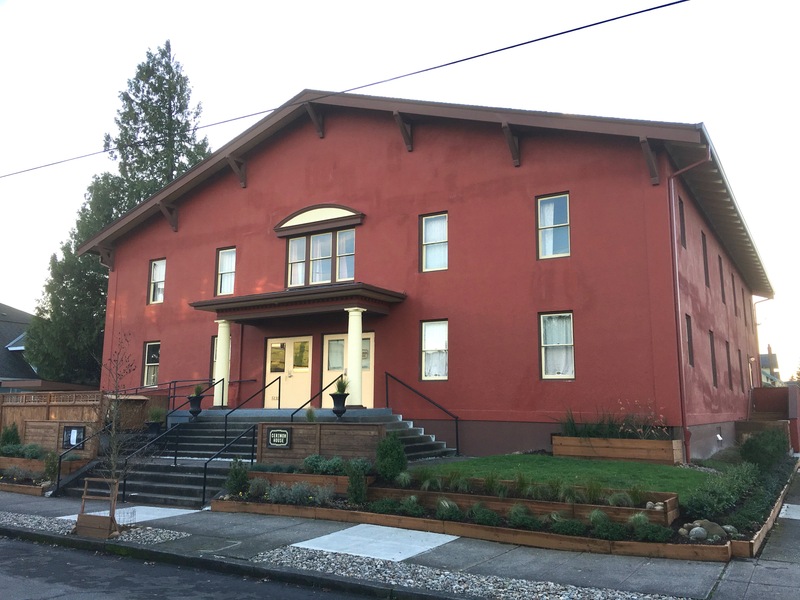 Here at Cerimon House we are so delighted to have awakened this good old edifice, working hard for a Conditional Use that would ultimately save it from the wrecking ball, in fact…and then transforming it into a new kind of sanctuary: one that is ready for the stories of the community. We tip our hat to our brilliant architects OH PLANNING + DESIGN (Deb France, Principal) and our construction company BnK CONSTRUCTION = for their deep belief in this project. We’ve been open two years now, and revel in the fact that we’ve become a preferred space for so many weddings, memorials, health conferences, language classes, theatre offerings, concerts, dances, healing ceremonies, PTA meetings, the annual Concordia Neighborhood Assoc. holiday party in December, and on & on. We welcome folks to this safe and fascinating convening space.